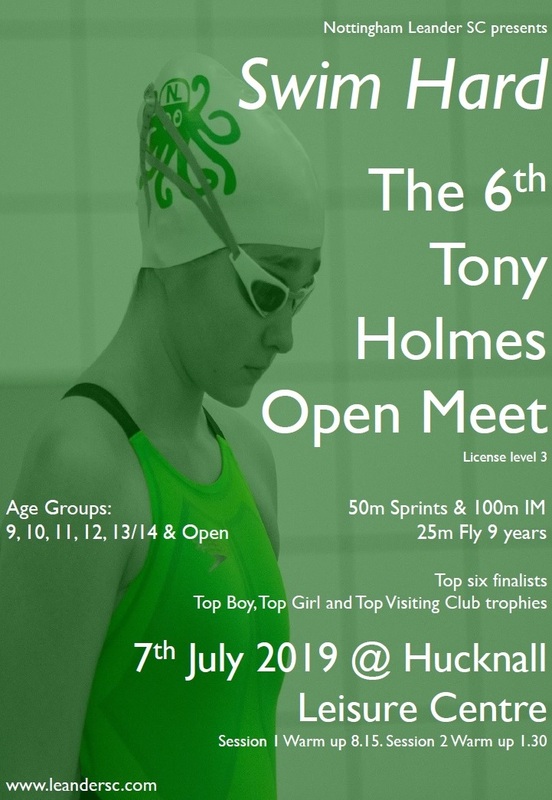 With January’s tropical heat being a distant memory, the Green Octopus once again set up camp at a freezing Harvey Hadden for the second weekend of the Notts ASA 2019 County Championships. Looking to build on the success from the first weekend's competition NLSC’s team of 70+swimmers battled the cold, illness, and injury to rise to the challenge once again to go further and faster than ever before. With even more debutants making their mark alongside our experienced veterans, NLSC’s strength in depth was clear to see with countless PBs being set across all disciplines to complement our twenty-nine medals (ten gold, eleven silver, eight bronze) and our ninety-two finalists (top eight). Jonny Higham, NLSC’s Senior Squad coach, said, “The weekend had everything. Whether it was stepping up in a final to set new PBs or take a medal, bouncing back from illness or an off swim to come back stronger and more determined, chasing down midlands qualification times or fighting on every stroke with gritted teeth; the resilience of our swimmers really came through. “I saw a group of people to be proud of. There was a great buzz on poolside and even as injury struck, the team rallied together and the smiles were back in no time at all. Counties debut? Check. Long Course debut? Check. Nailing an eleven second PB in the 200M Back? Take a bow Nathan Chita. Rebeka Hodi’s all round performances. Jess Li’s 27.80 in the 50M Freestyle final. The quickest across all age groups at the meet. Our 15 year-old boys making multiple finals (top eights) across the weekend. Evie Ferrer bouncing back from personal disappointment in the 50M Free to win the backstroke double on Sunday. The continued strength in depth of our 10/11 year-old girls. George Cummings’ smile as wide as the pool after winning bronze in the 100M Breast. Zi Shanker’s and Daniel Oyaide-Nicholls’ butterfly clinics. Our young debutants looking right at home in this level of competition. Absolutely everybody who took to the pool wearing a white hat with the famous green octopus on the side. Our Chairman’s attempts to explain the benefits of keeping warm in dry clothes. Thanks as always to our coaches, team managers, officials, volunteers for giving their time to help and to the army of cheering parents in the stands too.